This is the first part of a two-part series by Andrei Lankov on North Korean ‘ghost ships’. In recent years, inhabitants of fishing villages and towns located on the western coast of Japan have begun to make strange – and sometimes terrifying – discoveries on their beaches. They are increasingly coming across battered wooden ships, washed up on their shores. In some cases, the dead bodies of North Korean fishermen are discovered inside the hull, while in other cases, some members of the crew might be still alive, and are rushed to a local hospital. More often than not, however, the ships – bearing North Korean registration marks – are simply empty hulls devoid of any equipment or personal belongings. Such discoveries in Japan became common some five or six years ago, but as time has passed, the frequency of these so-called “ghost ships” appearing along the coast began to grow rapidly. In 2017, 66 were discovered, and by October 2018, a total of 89 were found. Currently, according to anecdotal evidence, the count has now surpassed 100 for this year. In recent years, similar ghost ships also began to be discovered on the shores of Russia’s Maritime province, north of Vladivostok. 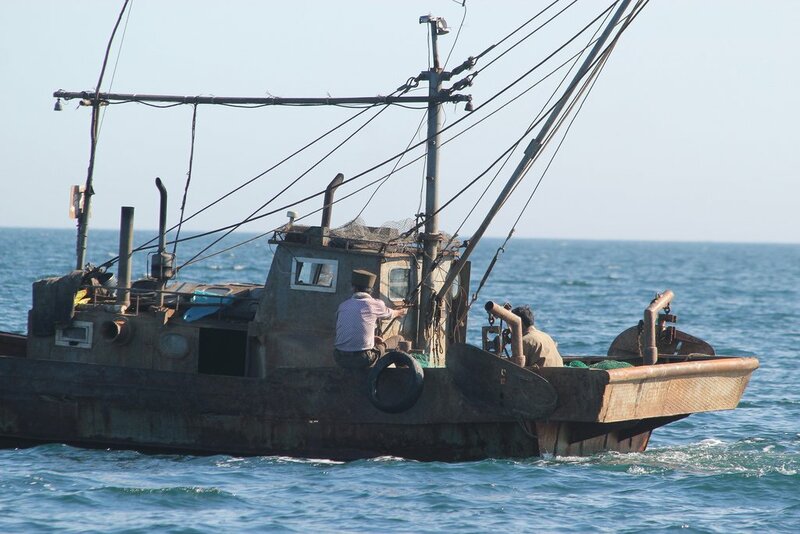 The numbers there are much smaller, of course, and while formal statistics have seemingly never been made public, informed sources say that in 2018, about a dozen abandoned North Korean fishing ships were discovered on the Russian coast as well. As with the cases in Japan, corpses or emaciated fishermen were also discovered on board in some instances. There is little doubt why such things are happening with increasing frequency. In recent years, North Korean fishermen have to go further and further away from their native shores in search of fish and squid. Many of them are now fishing on the Yamato Bank, a shallow water region located right in the middle of the Sea of Japan, some 400-500 kilometers from the nearest North Korean port city of Chongjin. The Yamato Bank lies almost halfway between Vladivostok and the Japanese coast, and these waters are known to have abundant fish stocks. However, when North Korean fishermen take their ships so far away from their native coasts, and so much closer to the coasts of Japan and Russia, the chances of encountering mechanical failures or other problems increase, and many find themselves helplessly drifting towards foreign shores. If the fishermen are lucky, they survive the journey, which can last many days. If they are not, their dead bodies are likely to be discovered by the Japanese or Russian police in due time. However, one has to remember that the discoveries of such ghost ships are perhaps not as dramatic as they sound. To start with, a significant number of the boats discovered – well over half – are essentially empty wooden hulls, without any traces of the crew, navigation equipment, or even engines. Of the 89 boats which were discovered in Japan between January and October 2018, only five were found to have bodies aboard, and such cases are generally exceptions. Well over half of the fishing boats washed on the Japanese shores have been found with their engines apparently carefully dismantled and removed from the hull. Usually, multiple North Korean fishermen have told this author, the absence of an engine is a very strong indicator that the ship had to be evacuated at sea, and the evacuation was conducted in a planned, well-organized manner. 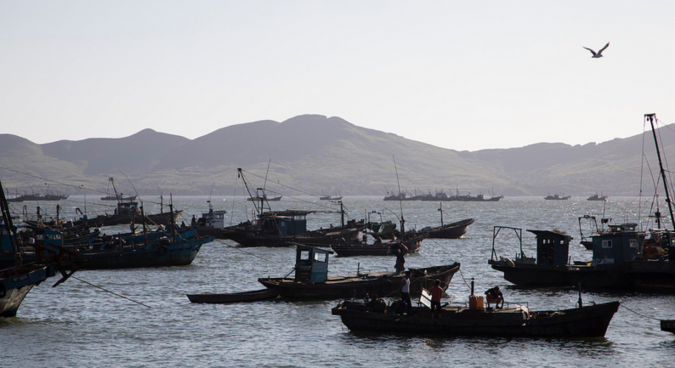 If something happens to a fishing vessel on the Yamato Bank or elsewhere at the sea – and this typically means engine failure – North Korean fishermen usually rely on the support of their peers nearby. Other fishing vessels will take the crew of the damaged ship onboard, and if space permits, their catch as well. 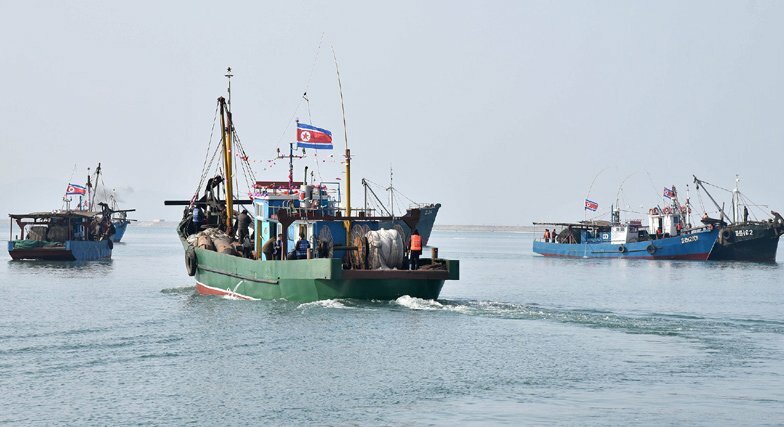 Transferring the catch is not difficult because, in most North Korean wooden fishing ships, the catch is kept in large bags which can be easily moved to a rescue vehicle. If the situation allows, at the final stage of the evacuation, the engine – the most valuable and important part of the boat – is dismantled and moved to the rescue ship as well. So the wooden hull is the only thing left to drift towards Japan. However, the removal of the engine is done only when the rescuers have enough space and when they believe that the additional weight will not put them into excessive danger. When it comes to emergency evacuations, people come first, catch and expensive navigation equipment comes second, and the engines are dismantled only if possible. So, the situation is not as tragic as the total numbers of discovered ghost ships seemingly indicate. Nonetheless, the ships are evidence of the tough conditions generally faced by North Korean fishermen. 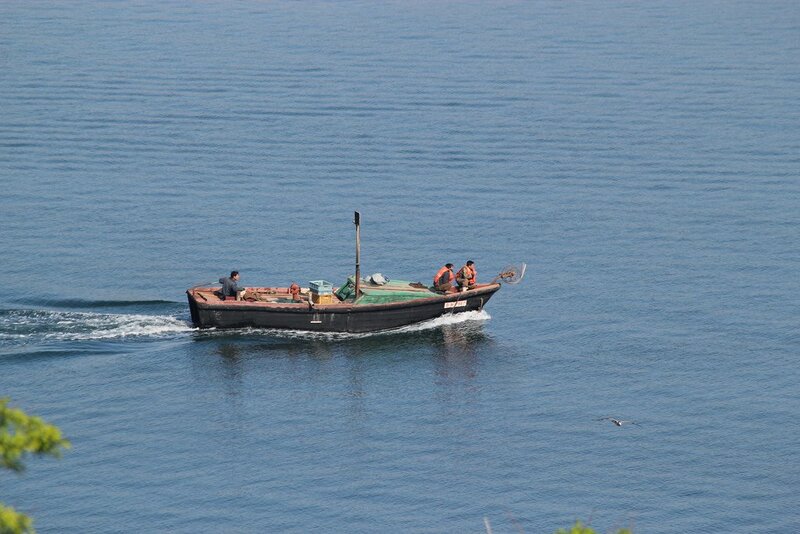 Indeed, more and more North Korean fishermen are traveling to fishing grounds further from the DPRK, using old fishing boats which are not designed to operate at any great distance from the shore. Essentially, they are engaging in deep-sea fishing, using coastal fishing boats and equipment. As a result, the chances of an accident occurring and subsequent starvation increases. The work of a fisherman in North Korea has never been safe or easy, but it is seemingly getting even more dangerous nowadays. So the question must be asked: why is this the case? The first thing one should keep in mind when talking about North Korean coastal fishing is that it’s essentially private in nature. Nearly all the small fishing boats one can encounter near the North Korean coast, and recently, on the Yamato Bank, are privately owned. It’s possible that some of the few larger fishing vessels with iron hulls are actually owned by the state. However, the number of such larger vessels remains small, and they are seldom encountered at sea. 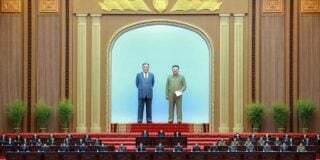 Previously, the North Korean government had pinned great hopes on the development of large-scale industrial fishing, very similar to what was done by the Soviet Union. However, these efforts did not yield desirable results. In the early 1990s, the DPRK economy was struck by a crisis and large fishing boats were found to be very thirsty when it came to fuel consumption, and eventually, most of them were left to rust while moored at local docks. The leading role in the industry is now played by small boats which are, as mentioned, privately owned. 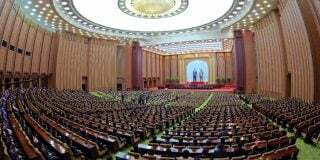 However, North Korean law does not accept the existence of private property. Therefore when an entrepreneurial and sufficiently affluent North Korean purchases a new fishing boat, he has no choice but to register this boat with either a state institution, state enterprise, or military unit so that, on paper, the boats are considered state property. The registration is vital because the North Korean police and border guards are very strict in enforcing the decades-old regulations which ban any boat without proper papers from going to sea. However, the fact that a boat is registered with a particular state agency or military unit usually tells very little about its actual mode of operation. What usually happens is the boat owner would make a deal with the agency which provides the registration. The deal normally implies that the owner would pay a certain fixed amount of money to the agency which provides him (nearly always ‘him’ as it’s strictly a male profession in the DPRK) with formal cover. Since the managers from this agency or unit have virtually no way to know how much money a particular boat is making, the only way to deal with this uncertainty is to establish a fixed flat rate. Usually, a boat owner, who also normally acts as its captain as well, pays about a hundred dollars a month for such a privilege, but the exact figures vary dramatically. One has to keep in mind that this regular flat payment does not constitute a bribe or any other act of corruption. 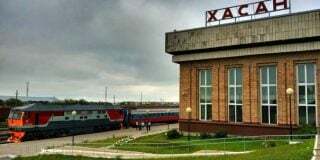 The payments are absolutely official, and the money nearly always ends up in the coffers of the relevant state agency. In essence, these payments should be seen as a registration tax of some sort. What is also significant is that the typical North Korean wooden boat is cheap to make. The actual price of such a boat ten years ago was close to $800, but it has recently increased to $1200-1300, with the lion’s share of a boat’s total price being the cost of its engine. The hulls are made by professional carpenters and to specific orders, but are usually seen as expendable and are not expected to last long. 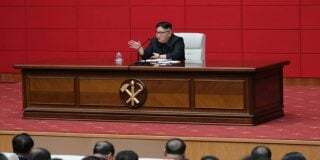 This is exactly the reason why, in case of some emergency at sea, the North Korean boat owners or captains have relatively little problem with abandoning the wooden hull. However, in the next part, we will go back to our first question and talk about why the North Koreans, in ever growing numbers, are fishing further afield and increasingly finding themselves in trouble.